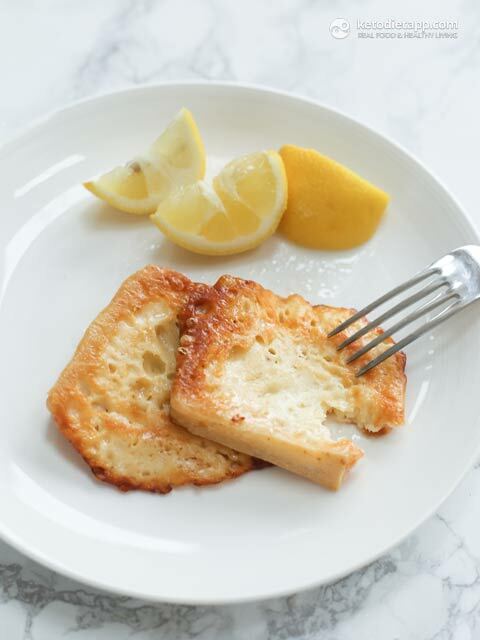 Saganaki is a delicious, easy to prepare Greek dish that is usually served as a quick appetiser. 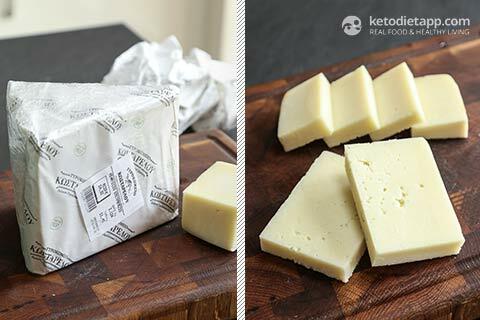 It can be made with different types of cheese like Kefalotyri that I brought from my recent trip to Greece. Instead of flour, I used keto breading made with a blend of flax meal and almond flour. You can either fry it with the breading like I did - or broil it without any breading at all. Cut the cheese into about 1 1/2 - 2 cm (1/2 - 3/4 inch) thick slices. 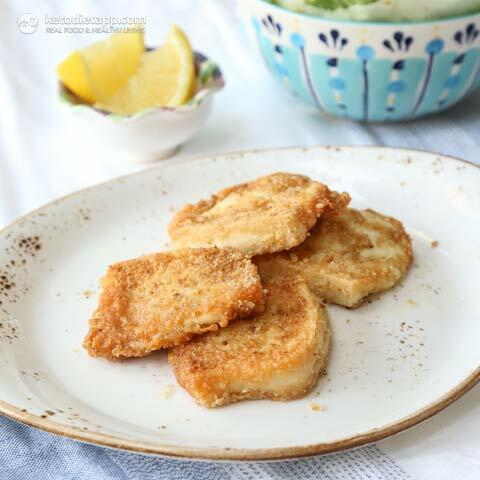 I used kefalotyri cheese - alternatively, you can use other types such as graviera, kefalograviera, halloumi or kasseri. Pour cold water into a bowl and set aside. Place the flaxmeal and almond flour into another bowl. 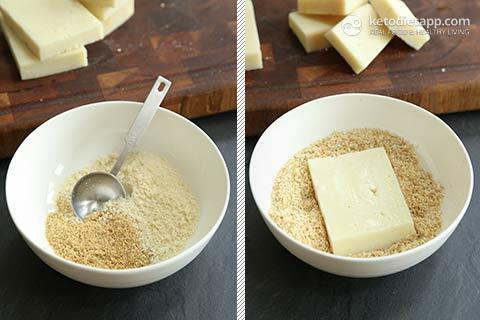 Dip each slice in the bowl with cold water and then place in the second bowl with the "breading". 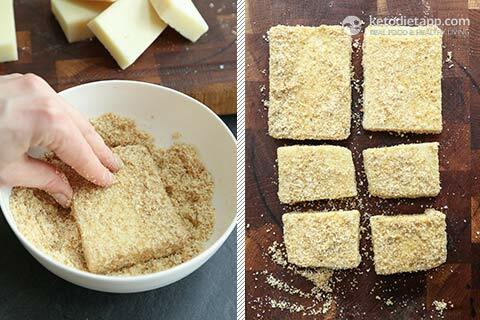 Cover from all sides, shake off the excess breading and set aside on a chopping board. Heat a heavy-bottom pan with ghee. 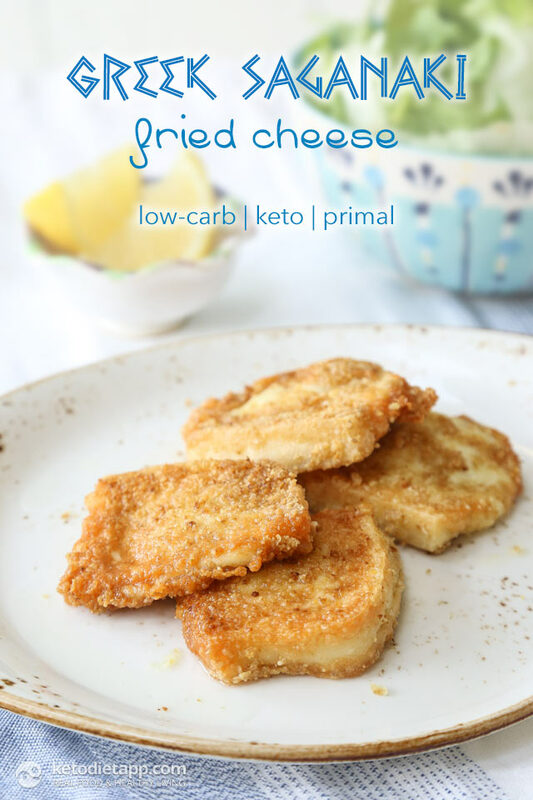 When the oil is hot (you can test that by adding a few grains of the breading), add the breaded cheese slices. 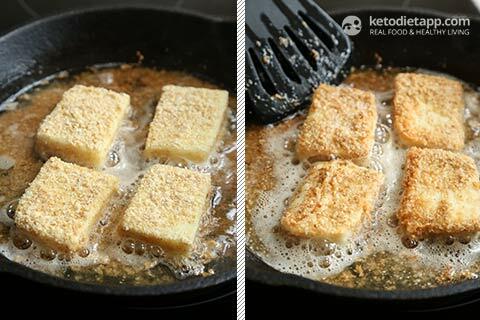 Fry over a high heat for about 2 minutes, until the breading is golden brown, and flip on the other side. Cook for 1-2 more minutes. When done, place on a serving plate. Serve with lemon wedges and crispy greens while still hot. 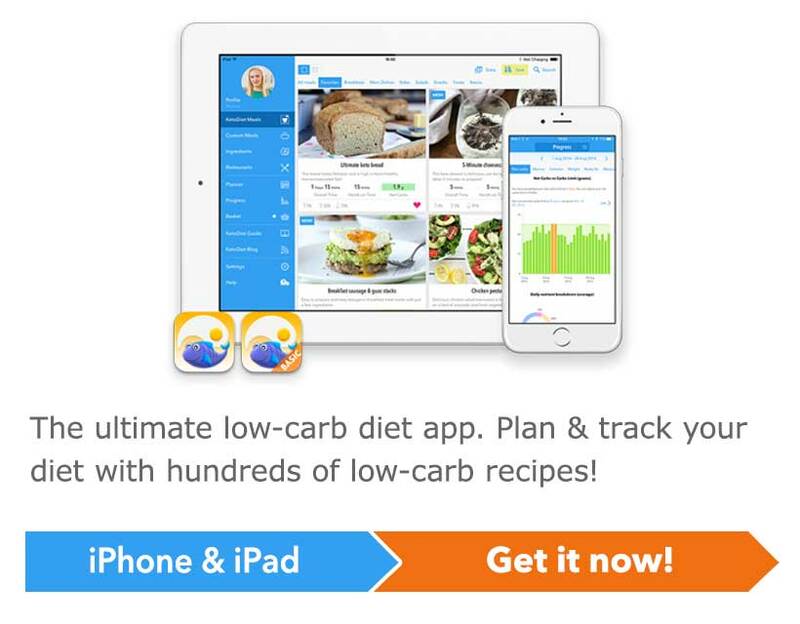 Alternatively, you can skip the breading and broil the cheese in the oven until light golden. This works well with different kinds of cheeses. In my supermarket in the Latin/Mexican section look for Queso para Freir, aka Frying Cheese. I agree, my mom makes it from all sorts of cheese in the Czech Republic. She uses breading from ground dried rolls and dips the cheese in mixed egg instead of water.